Mr. Maid provides comprehensive cleaning services to residents and business owners in the greater Pittsburgh region. Our 37-point cleaning checklist is unlike anything else in the industry, and assures your complete satisfaction – that’s our guarantee to you. When you hire Mr. Maid, we will give you and your home the special attention it deserves. We’ll disinfect and tidy your bathrooms, disinfect your kitchen, dust and clean living and sleeping spaces, and more. Our detailed checklist includes important tasks you’ll pay more for elsewhere, too – which make Mr. Maid a tremendous value for all your home cleaning requirements. In addition to our regular house cleaning services, we also offer our window cleaning service for an additional price. Your glass will be clear and squeaky clean. 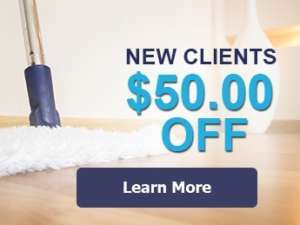 Our unique mop cover virtually gives you a new clean mop head every time so your floor is cleaner without us dragging in dirt from someone else’s home. We can appreciate that your home is your prized possession and your personal belongings too. Our staff is trained to be gentle with your home or apartment but we take it one step further by being fully insured. You know you’ll relax easier when we come – confident that we’ll care for your home like it was our own. Mr. Maid will tour your home and give you a free estimate that contains our best recommendations. There is no obligation for the consultation and no obligation to sign up for our service, so contact us today to schedule an appointment. Or, if you prefer to get more information sooner, why not give us a call for a quick and easy no-obligation phone quote? We’re confident that when you try our service you’ll be happy that you did. See for yourself why Mr. Maid is the preferred cleaning service in the Pittsburgh and surrounding area. Free estimate for your home or business. We don't rush to get done. 37-point checklist to ensure reliability. We are registered and fully insured.